WITH THE TOURLINA APP WOMEN CAN FIND INTERESTING AND ENTERTAINING FEMALE TRAVEL COMPANIONS AND LOCALS WITHIN A SECURE AND TRUSTED NETWORK. 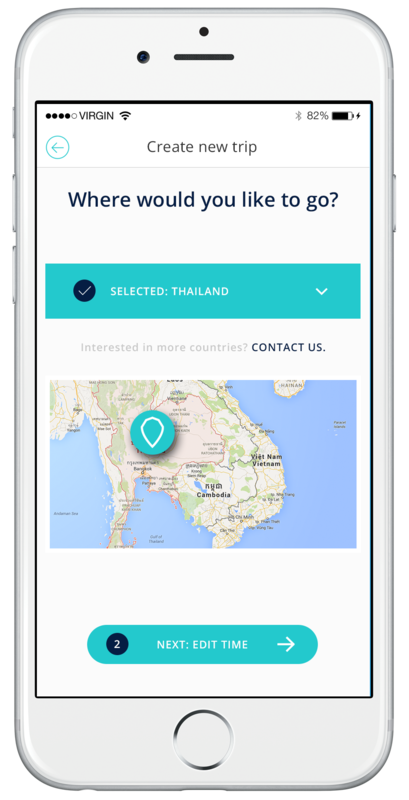 • Find locals and other travelers in your area … chat and meet with them! Find interesting female travelers to travel together! TOURLINA manually verifies each new user if this user is a woman and not a man or fake. This means that Tourlina is able to provide you with a much safer international female travel buddy experience. Be confident when you choose a female travel buddy or look to connect with someone for your trip, because our Tourlistas are manually verified users and are really who they say they are. Travel with women who are familiar with the city from the inside, because they live there! These women will show you the most interesting places of their city and the best beaches around. Local woman will meetup with you and guide you to the best locations in town. 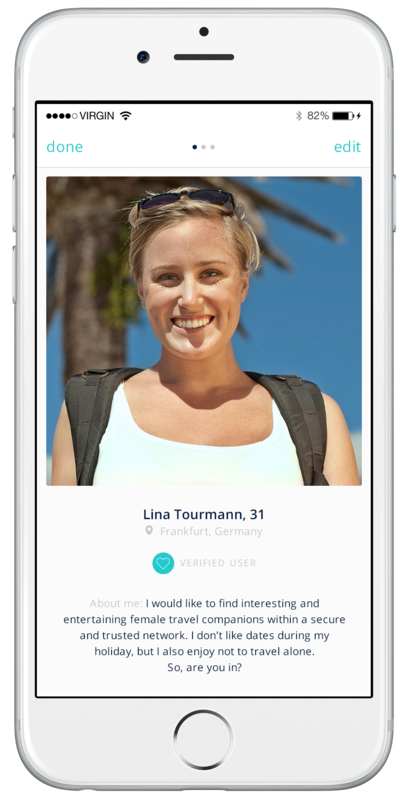 TOURLINA is the first women-only travel app with verified female travellers (e.g. backpackers, luxury travellers) from all over the world. Each day hundrets of new users join Tourlina and become a Tourlista. Tourlina is a great travel app for solo travelers or for women who just would like to meetup with other solo travelers or meet-up with locals who are interested in travelling. Meetup with thousends of solo female travelers from around the world – from countries like: Germany, Europe, USA, Canada, Australia, India, Asia (Thailand, Vietnam, Japan, South Korea, Singapore,…), New Zealand, South America (e.g. Peru, Chile, Argentina,…), Central America (e.g. Mexiko, Guatemala, Honduras,…). Find and meet-up with other girls and have a great time! The Tourlina travel app connects girls who like to travel. Tourlina is the first women-only app, which brings together female travelers who have the same interests and who like traveling or just meetup with like minded girls who love to travel or with local girls around your current location. Tourlina also allows Tourlistas to connect with potential travel buddies from their current location and/ or from their home town. Join now! Download the Tourlina app and start chatting with like minded female travellers from all over the world – in a secure and trusted network for women-only! Tourlina is a fun travel app to meet others travelling. Do you want it to be easier to meet other backpackers? Tourlina is a backpacker social networking app for any destination. Connect with women looking for backpackers with common interests. Whether you’re travelling solo or in a group, Tourlina is a great way to meet nearby travelers as well as locals! Tourlina app makes it very easy to meet up with other solo female travelers, e.g. adventurer travelers, backpacking travelers, business travelers or solo female travelers who prefer a luxury accomodation. 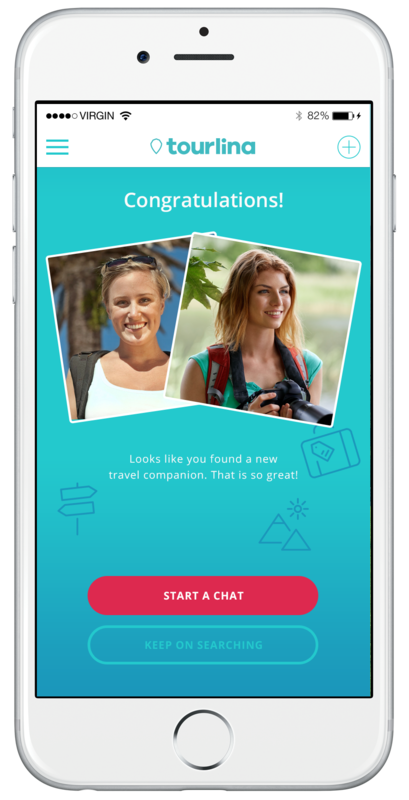 If you’d rather meet up with other female backpackers or travel mates on the road then this travel app is exactly what you´re looking for. Organised activities are also a fantastic way to meet other travelers in every country using a travel app (to find a travel companion, a travel buddy or awesome female travel buddies or even find a local). Buddies, the Tourlina female travel app is for all those solo backpackers and solo travelers who want to go out with other solo travelers, but do not have buddies or a local women to go with. Join Tourlina and get your female travel buddies and explore the world! Tourlina is a secure social network for women who love to travel. Find a travel buddy for your next trip with similar travel plans and similar interests or just meetup with a local woman. Don´t forget to take a latest version of the Lonely Planet on your trip! Tourlina is a available in three languages: English, Deutsch and Español!!! Finde einen Reisepartner! Encontrar un compañero de viaje! Find a travel buddy! Finde weltweit einen Reisepartner! Finde eine Reisepartnerin! Some Work & Travel examples which Tourlistas had in the past: Working as a snorkeling instructor in Thailand, working as ground crew in Kuala Lumpur, Teaching English in Singapore, Working as an Au Pair in America (Work & Travel), working in Backpackers Hostel in Argentina, voluntary teaching in Vietnam, bar maid in Bogota (work & travel job), watersports instructor in Costa Rica, kitchen assistant in Ecuador, bar woman in Buenos Aires (work and travel job), childrens club in Greece, housekeeping in Italy, teaching English in Madrid, children’s rep in Barcelona, fruit picking in Australia, bar manager in New York (work and travel), barge hostess in Berlin, strawberry picking in France, conservation research assistant in Greece. The Tourlina travel app is like a membership app only for GIRLS who want to find a travel buddy or travel partner or just want to meetup with locals and other travellers nearby. Sign-up to the Tourlina travel app and connect with thousends of like-minded girls around the world. The Tourlina team verfies all girls manually, therefore Tourlina is safe and it is really easy to connect and meetup with like minded girls. Sign up and start exploring the world and find interesting female travel buddies to meet with and travel with all over the the world. Never be lonely while you travel and even find like minded girls in your home town or at other cities.